This is a festive and fun holiday gift. 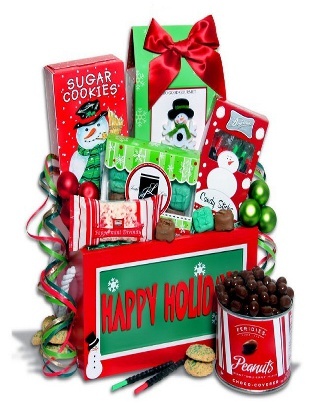 Happy Holiday crate is filled with sugar cookies, snack mix, chocolates, nuts and assorted holiday candies. The perfect gift to brighten anyones holiday.